As much as I miss living in California for the sunshine and scenery, the excitement of waiting for certain fruits and vegetables coming in season are what I love most about being back on the East Coast. I never thought about it before, but now I can truly appreciate it. 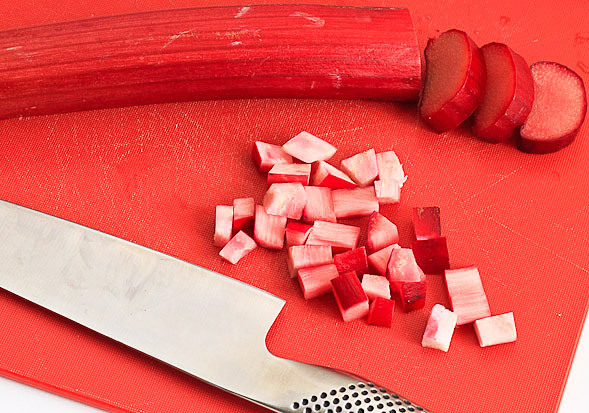 Right now rhubarb is in season and I’m seeing it everywhere. 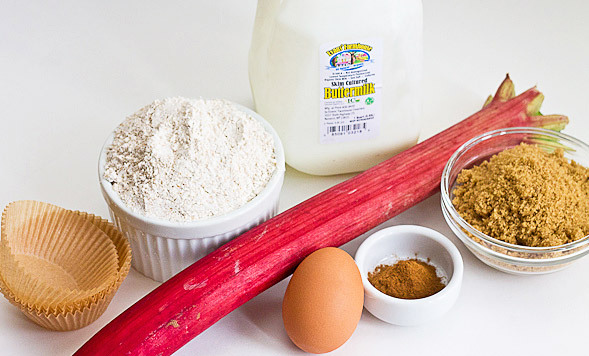 My first taste of it was back home in Pennsylvania when a friend’s Oma (grandmother in German) baked a cinnamon rhubarb bread. She very finely diced the rhubarb, almost mashed, similar to a banana bread. I wasn’t sure what to expect, but from what I remember I had a few extra helpings! 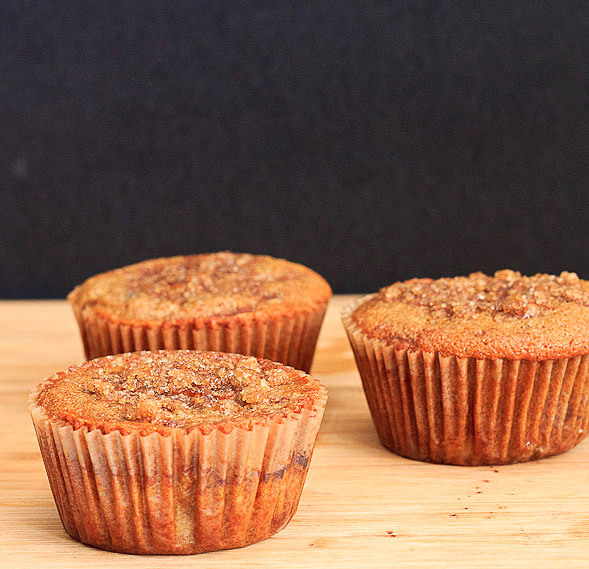 So today I picked up a stalk of rhubarb and decided to bake it into whole wheat muffins topped with cinnamon vanilla sugar and diced the rhubarb into pieces instead. 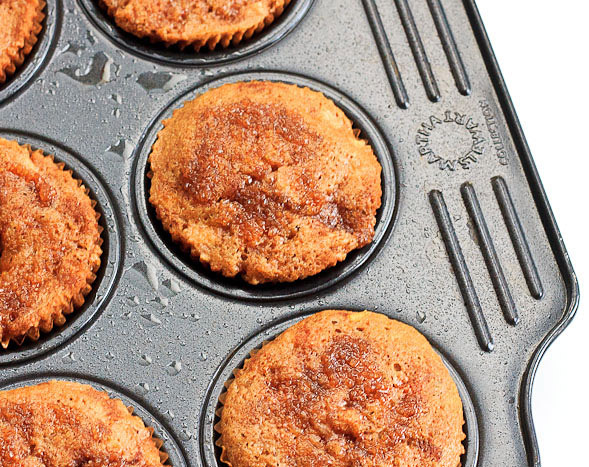 To make these tasty muffins extra moist and fluffy, I added in some buttermilk. If you have extra buttermilk leftover, consider baking this juicy roast chicken recipe I got from a friend and fellow blogger. They’re highly addictive. That said, now I know what to make for dinner tonight (and then dessert)! 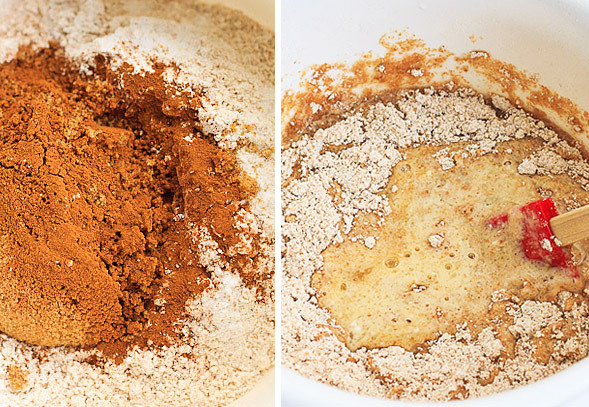 Combine dry ingredients then mix with wet ingredients. 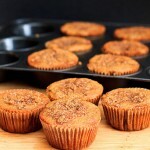 Fill muffin cups then bake for 10 minutes, then place topping on each muffin and bake until cooked. Heat oven to 375°F. 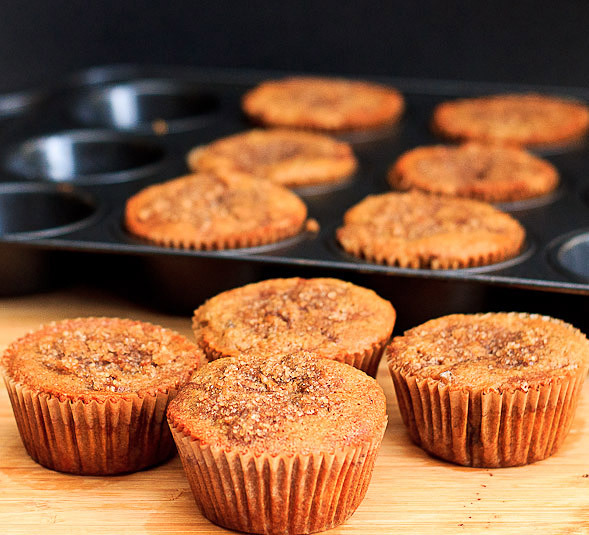 In a large bowl, combine flour, brown sugar, salt, baking soda and cinnamon. In a smaller bowl, whisk together egg, oil, buttermilk, vanilla and maple syrup. 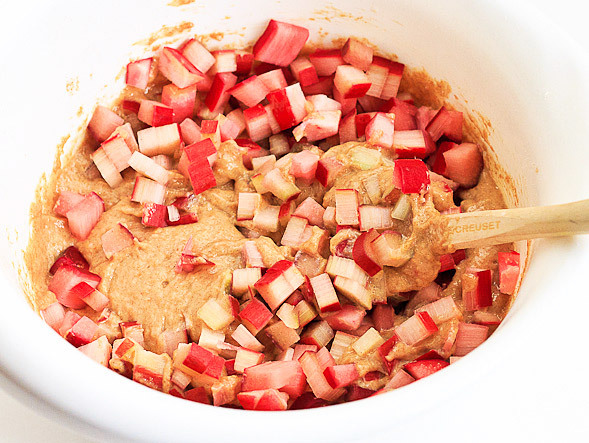 Mix wet into dry ingredients, then fold in diced rhubarb. Combine topping ingredients in a small bowl. 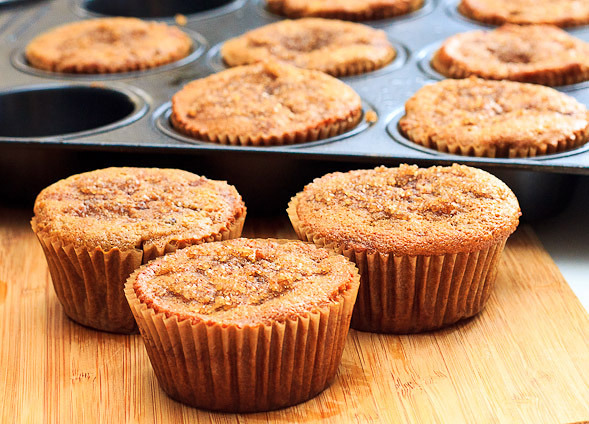 Fill paper-lined muffins cups about half full with batter. Bake for about 16-18 minutes. At the last 5 minutes of baking, sprinkle topping over each muffin. Cool before serving.